Despite the fact that I always wear SPF 50 sun cream (yup, even during wintertime), I have to admit that after holidays my skin looks rough, the freckles game is strong and I feel like I added a couple of years on my face. 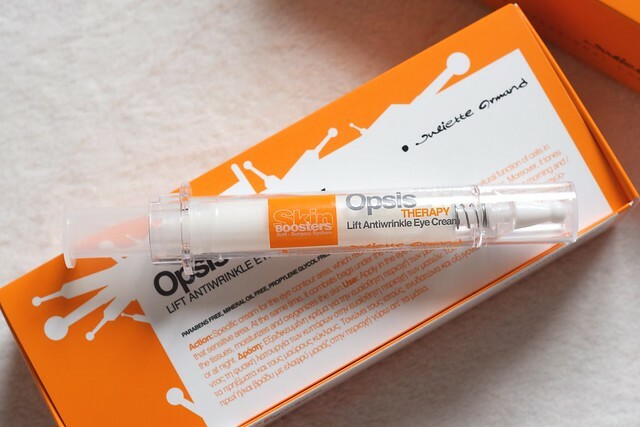 So you can tell my excitement when I found a parcel waiting for me opening the door on my return from Corfu, containing the Opsis Theraphy antiwrinkle eye cream by Juliette Armand. 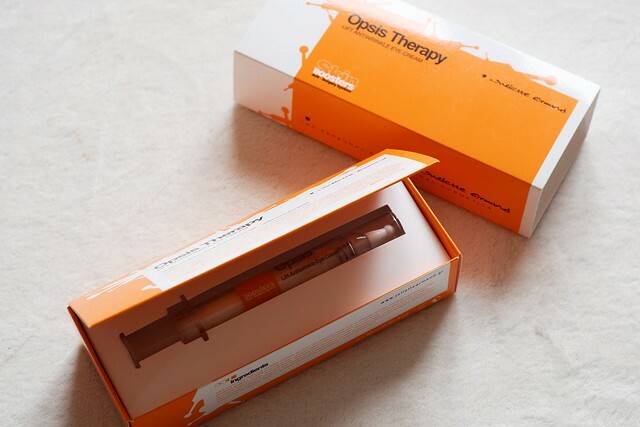 When I opened the box I thought it was a real syringe and that this cream works like botox, I thought no way I am going to do injections in my face, but then I took a closer look and saw that the package is a very clever creation! 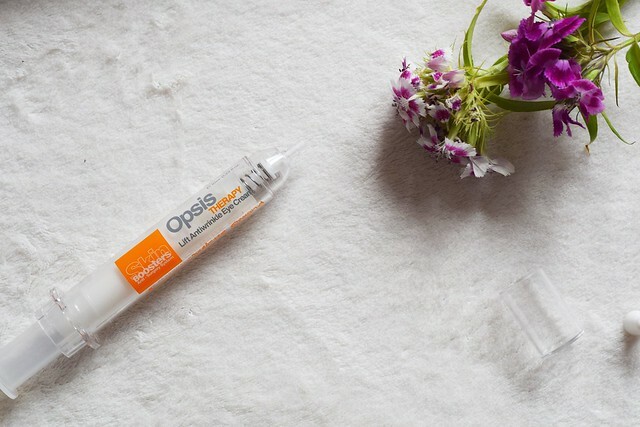 The cream is in a plastic syringe (without a needle) and in order to apply it to your face all you have to do is push the syringe and you will have a small, bean size, amount of cream in your hands, enough to apply around your eyes area. 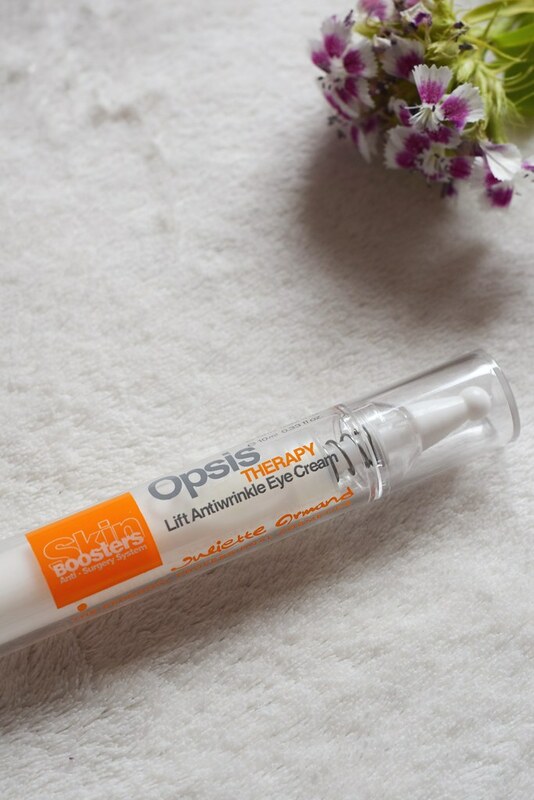 The cream has a very light and pleasant smell and the texture is not too thick and blends straight in the skin. 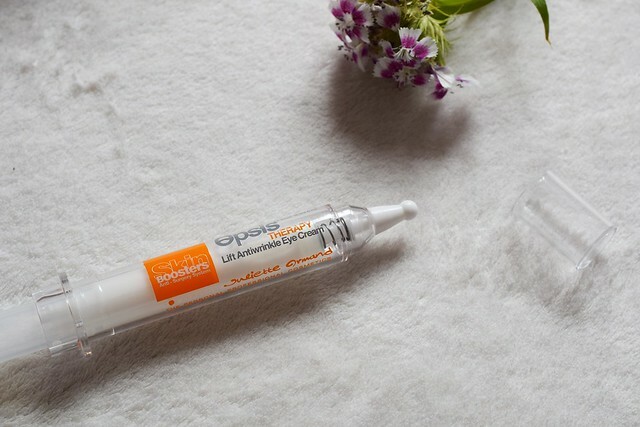 After the application the skin feels fresh and it gives you the same sensation you get after a shower. 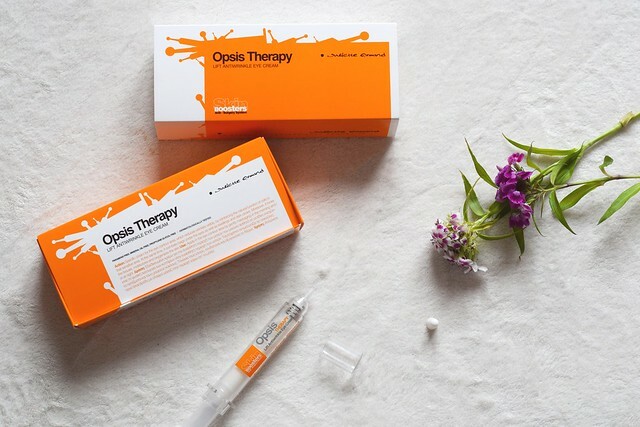 …as Opsis Therapy deters the appearance of wrinkles & black circles and combats swellings by activating and reinforcing the natural function of cells in the sensitive eye area. 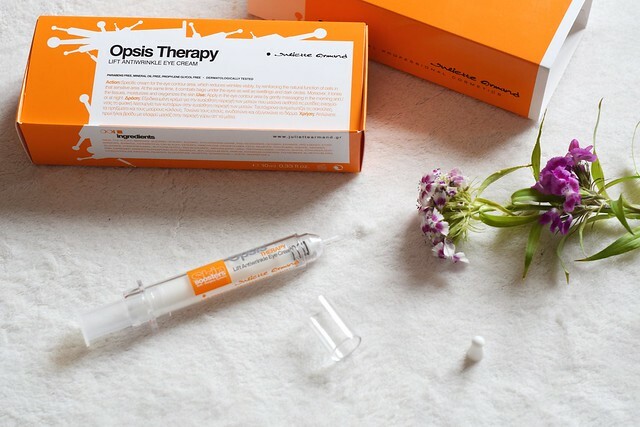 For great results and reduction of swellings and black circles it is suggested that you apply the cream for a minimum of 8 weeks, but it has been 2 weeks for me now and I am perfectly happy with the smooth appearance of my eyes area.